In-office system for monitoring steam sterilizers. Easy to use and interpret. Results in 24 hours. Simply process vial in a normal sterilizer cycle. Then activate vial, incubate, and record results. If any spores survive the process, the vial medium will turn yellow. Incubator is 110 volts and holds up to 14 indicators. 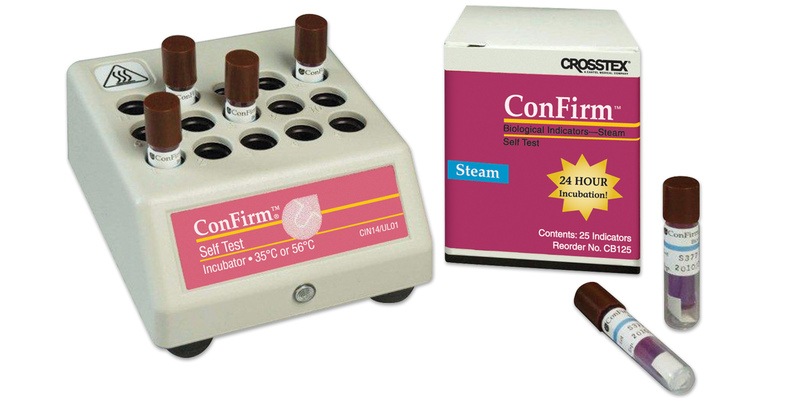 Click here to read an informational article by Crosstex on infection control compliance. Contains: 25 indicators, 1 incubator, 1 record keeper booklet.